How we become addicted varies from person to person; some of us use a substance once and are instantly hooked, ramping up to abuse and addiction right away. Others slowly devolve from prescribed use into abuse as we endure chronic pain or suffer through depression and other challenges. However, despite these differences, most experts agree that there are four basic stages of addiction: experimentation, regular use, abuse, and dependency and addiction. Not everyone who experiments will become an addict; there is no must-follow, one-way path from stage one to stage four. However, each stage is one step closer to full-blown addiction. Understand what each of these four stages is like, so you can better assess your risks—or recognize when someone you love has a problem. Experimentation is much like it sounds: trying a substance to see what it’s like, for fun, or perhaps to cope with mental, emotional, or physical pain. What really defines this stage, though, is the voluntary substance use that happens without any negative legal or social consequences. Those lines are not always totally clear. For example, what if a teenager decides to “experiment” with a drug and happens to get arrested that same night for DUI? Still, in most cases experimentation is an early stage without serious consequences. Experimentation for some users happens without any thought or wish to keep using the substance. However, for others, this stage is merely the first step: regular use, the next stage of addiction, comes next. Again, regular use is just like it sounds. But because regular use is happening frequently, the substance use is becoming part of the user’s life. It also increases risk of social and legal consequences, at least because there are so many more opportunities for being “caught.” This is compounded by the risky behaviors that come along with reduced inhibitions and impulse control, such as anxiety, depression, driving under the influence, and uncontrolled anger and violence. Some users become regular users without becoming addicts or experiencing physical dependency. For them, if they psychological hold of the substance is not too strong, they might be able to stop using without help. However, regular use increases the risk for substance abuse in a major way, ushering in the next stage. It’s not always easy to make the call between what is regular use and what is abuse. Most people who work with addicts define “abuse” as continued use of substances despite of serious legal and social consequences. This abuse stage will also reveal the warning signs of addiction: physical dependency, including cravings, fatigue, and preoccupation with getting more of the substance to use, all of the time. The last stage includes addiction, and physical dependence as well. The signs of dependence and addiction include symptoms of withdrawal, establishing the physical “need” to use, and a compulsion to use the substance despite serious negative consequences for mental and physical health, relationships with family and friends, job security, personal finances, and even legal status including a criminal record. Going through recovery is a process. Few, if any, individuals realize that they have a problem, need to get help, and quit using all in one day or overnight. Recovery is ongoing; it can begin at any time, but it is something that addicted people need to work on, from that point forward, every day for the rest of their lives. The National Institute on Drug Abuse and most mental health professionals think about drug addiction recovery in terms of stages. These stages of recovery apply to all substance abuse in every person, although in practice experiences differ widely. As you undergo treatment or complete rehabilitation and therapy for addiction and substance abuse, you may already have a good sense of what’s coming—at least at first. However, the nature and timing of subsequent drug addiction recovery stages are likely to be unknown to you, particularly if you’ve never really gone through a complete, successful recovery. Not knowing what’s coming and what to expect can make the already difficult recovery challenge feel impossible. The road to recovery is different for each person. This is why an individualized approach and treatment regimen are so helpful. For these reasons, your pattern and pace of addiction recovery are likely to follow the pace that naturally feels right to you. Many factors will influence your recovery speed, including your employment situation, your living conditions, the strength of your support networks, your physical condition, your psychological and emotional state of mind, and most of all, the degree of commitment you possess. Nevertheless, research does prove that most recovering addicts go through the same stages. There are several clear and specific stages that all people on the path to recovery go through. Each stage takes a different length of time for each person – there is no real normal; the progression forward is different for all. The stages of recovery are linear, certainly, but it is very easy to move backwards on the path as well, if one is not very careful and aware. 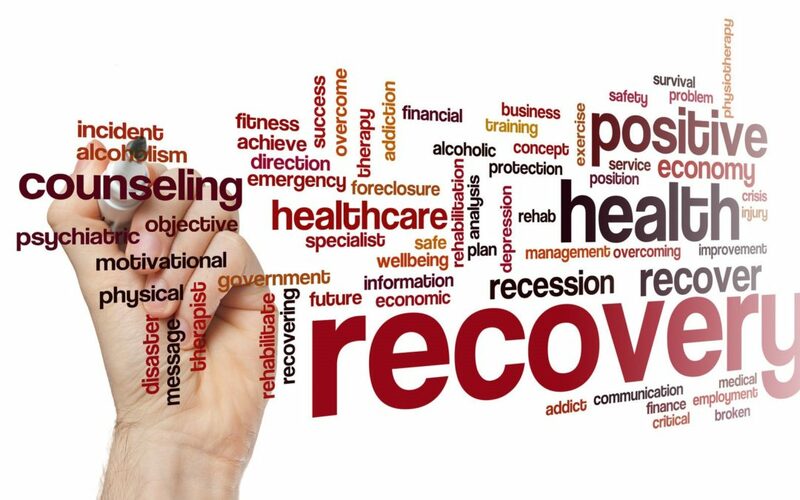 Some of the stages occur prior to cessation, whereas others are more of what people tend to think of as true recovery, but all of the steps play an important role in the journey to a clear, sober, and healthy life. The stages of addiction recovery may seem to be common sense. However, these stages were articulated most clearly in Changing for Good, a book first published in 1994. This book was written by three psychologists, Dr. James O. Prochaska, Ph.D, of the University of Rhode Island, Dr. John C. Norcross, Ph.D, of the University of Scranton, and Dr. Carlo C. DiClemente, Ph.D, of the University of Maryland, all of whom have worked extensively with individuals who have looked to change their own behaviors. This book isn’t strictly about addiction recovery, although it is certainly one focus; it is about change in general and human behavior. These three doctors spent time working with people with all sorts of bad habits: addiction, alcohol abuse, overeating, smoking, and attraction to toxic relationships. Through their work, they began to see a pattern in the ways people begin to recognize their own problems, and the stages and steps they pass through while trying to change and find a better life through giving up their undesirable and often dangerous habits. Since initial publication, the stages described in the book have become well known and widely accepted by addiction recovery professionals, and are understood by many moving forward on their recovery journey. Although stage one doesn’t outwardly look like actual recovery, everyone who wants to make a change has to start somewhere. In this stage, the user begins to realize that his or her drug or alcohol abuse has repercussions of some sort, but he or she is not really too worried about it yet. Although problems may have begun to emerge at work, health issues may have become noticeable, relationships may have become strained, or financial difficulties may have become apparent due to using, the user still feels that he or she is still in control. In this stage, the individual may try to rationalize his or her choices, and feels that the benefits still outweigh the challenges when it comes to using. However, at the same time, the user has begun to notice some issues, and as a result, this is where the recovery seed is planted. Starting here, a slow shift from denial to willingness to make a change may emerge, and the user may begin to realize that action is needed to make that change. The second stage is another step on the journey, but it too, is still a far cry from living a clean and sober lifestyle. At this point, the user has become more aware of the repercussions of his or her drug and alcohol abuse, but is still unwilling to quit most of the time. He or she may consider quitting “someday,” but still looks at it as something off in the future. But, as time goes on, he or she will likely begin to see how others are effected by his or her behaviors, and the user will likely experience a shift in thought, and begin to move forward from awareness onward more and more towards action. Although a user in stage two is not actively pursuing recovery yet, the individual is getting closer. Stage three is a big step on the road to recovery. At this point, the individual realizes that the responsibility for their choices lies within themselves, and that change is up to them. As a result, the person may begin to gather resources about detoxing, rehabilitation, and recovery. He or she may speak to friends or family members who have been down the same path. Realizing that they have a problem, the individual may attempt abstinence here and there independently; denial is over at this point. The user may even go as far as to make a verbal or written commitment to sobriety, and may attend a support group for the first time. Many experts feel that it is in this stage that recovery actually begins, and a decision may be made to go to treatment by the end of stage three. Stage four is the beginning of what most people view as the actual recovery process. According to the Substance Abuse and Mental Health Services Administration’s (SAMHSA’s) National Survey on Drug Use and Health, 23.5 million people in the United States aged twelve or older needed treatment for a drug or alcohol abuse problem in 2009. However, only 2.6 million – 11.2 percent of those who needed treatment actually sought it. In stage four, the user actively seeks out treatment. He or she will at this point become completely immersed in the addiction recovery process, and will begin to practice complete abstinence. This is a very challenging time period, and is a time of both great significance and significant risk for the individual. He or she will be very vulnerable during this time of massive change; the person seeking treatment may have to give up old friends, may enter a residential treatment facility or move to be closer to support, and will have to abandon old places, activities and behaviors while attempting to establish a new, drug free life. On top of all of this, he or she will have to develop new coping skills, and may further be working to rebuild relationships and other aspects of life that were damaged during active addiction. Relapse is common during this time period, as individuals will not yet have developed the skills to avoid it, but despite small failures and setbacks, the user is well on his or her way to a healthier, more sustainable lifestyle. Reaching stage five is the goal of all on the path to recovery. Although former users will always be addicted to their drug of choice or alcohol, at this point, they are feeling strong in their sobriety. They are able to sustain healthier lifestyle patterns, and are well aware of triggers and stressors that can lead to relapse – and know how to deal with them when they arise. Recovery is still not easy, but is much, much easier than when they began on this journey, and the recovering individual realizes that he or she will have to work at this for the rest of his or her life. However, if they have made it this far, they are beginning to live a life they could not have imagined at the beginning of their recovery journey, and have truly gone through a complete transformation in body, mind, and spirit. None of these stages are easy – not even the last one – but each is a vital part of the path to recovery. Although it may seem like one or more of these stages is taking forever, users wishing to change their lives must realize that this process takes time, and must continue to keep their eye on the prize at the end – a healthier, longer, more stable life, free of alcohol and drugs. For every stage of recovery the addict experiences, the family and friends of that person go through their own process. It’s a rollercoaster ride of emotions when someone you care about is battling addiction: anger, heartbreak, shock, disgust, fear, and more emotions all come into play throughout the process. The first stage of recovery for supporting family and friends is making your way through all of these initial feelings and rallying toward a supportive solution. As yourself, how would it feel to be abandoned in your darkest hour? Don’t let your loved one find out how that feels; be there for them. The next stage of the process? Develop a sense of understanding. Addiction always has its roots somewhere, usually in confusing, stressful, or traumatic experiences. It doesn’t help to cause new traumas by blaming the person fighting addiction. Instead, work hard on your own to understand what might be at the heart of the problem. Remember, researchers agree that genetics are a big piece of this puzzle—up to 50 percent of the issue, according to the National Council on Alcoholism and Drug Dependence. Once you’ve accounted for family history, take a close look at your loved one’s relationships, health, and other life issues for more insight. Now you are ready to face the stages of recovery together!